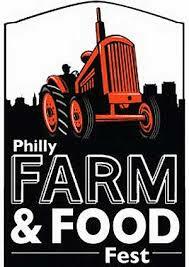 On Sunday April 14th, I had the pleasure of taking my family to Philly Farm and Food Festival. This festival you have the opportunity to speak with farmers, food artisans and sustainable business owners. There were over 100 vendors sampling their delicious organic farm and locally grown cheeses, baked goods, ice cream, veggies, fruits and so much more. The amount of different cheeses that you could sample was amazing. I am a big fan of cheese and I tried some of the best cheeses that day. Nothing like fresh cheese. The cheese was so delicious that my little ones were all over it from sharp, aged to mild. Also there was an area where they were doing tastings on certain spirits and an area for the little to play. I will definitely be attending this event next year. Here are some of the vendors that stood out to me. They were all amazing but something about what these vendors had to offer was enticing. Chicks Dig Cage Free eggs -This was the first thing that I tasted and there was something so delicious about these eggs. They gave us little scrambled egg sliders. They also offered these amazing sauces to add to your slider. Amazing Acres Goat Dairy– I have to say this was the best goat cheese I tried that day. It was so fresh. It melted in your mouth and wasn’t dry at all. I found that Will Reid and his wife actually milk the goats themselves. Farm Fromage -Works with local cheese makers to provide world-class cheese. Such a wide selection of great cheeses. Naughty Nutty Love – Love the name to begin with. I have always loved but butters, but these were some of the best tasting nut butters I ever had. Denise really knows her stuff. Cant wait to try some of this stuff in a shake or maybe a filling. High View Farm – This vendor was offering some mouth-watering pulled pork and it was amazing. The meat literally just fell apart in your mouth. My mouth is actually watering now talking about it. Good Spoon– Offered Soups and Stews from Scratch. These soups are packed with flavor. They use Local, and Organic Vegetables, Grass-fed Beef and Dairy and Pasture Raised Poultry. Who wouldn’t want all this freshness in a soup. Wyebrook Farm Market – Is hand butchered meats. The most beautiful colored meats I have seen. All packed and ready for you to take home. No growth hormones, Antibiotics, Chemical Fertilizers and Herbicides or pesticides. Cant wait to take my family to this market. Altantic Capes Fisheries– These guys were sampling Oysters. I seriously think these were some of the best Oysters I have ever tasted. They were so fresh and the taste was amazing. This was such a great event to be a part of. Seeing all the passion that each and every vendor had for their product is amazing. It makes you enjoy their products even more knowing its made with love.